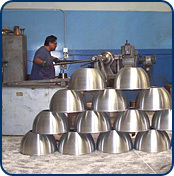 Welcome to RSR Metal Spinning! 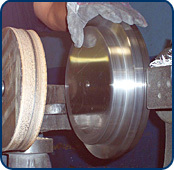 With over 25 years of experience, RSR Metal Spinning provides the best quality spinnings with superior customer service. Our talented crew, have been in this industry for an average over 10 years each. With that experience comes the ability to make many complicated spinnings that a novice could not make. Our shop foreman has been with us since the beginning. He was RSR’s first employee and continues to take metal spinning to an art level beyond what most shops offer. Thanks again for stopping by our page, and we hope we can provide you with excellent service in the near future.